Edraw evaluation form software enables you to create all kinds of professional evaluation forms within seconds. Edraw is a cross-platform evaluation form software, which is available for Windows, Mac OS X, Linux. Following handy features make it one of the most popular evaluation form software. Download a free trial and see first-hand how quickly and easily you can create effective great-looking quote forms. 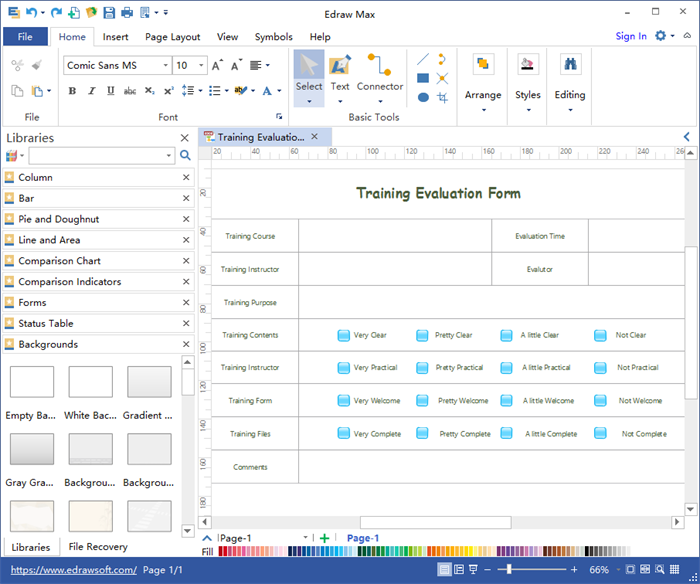 The layout closely mimics that of Microsoft's Office suite, and this familiar layout, combined with clearly labeled buttons, makes the software easy to get started. Feature 2. Thousands of Pre-made Symbols. 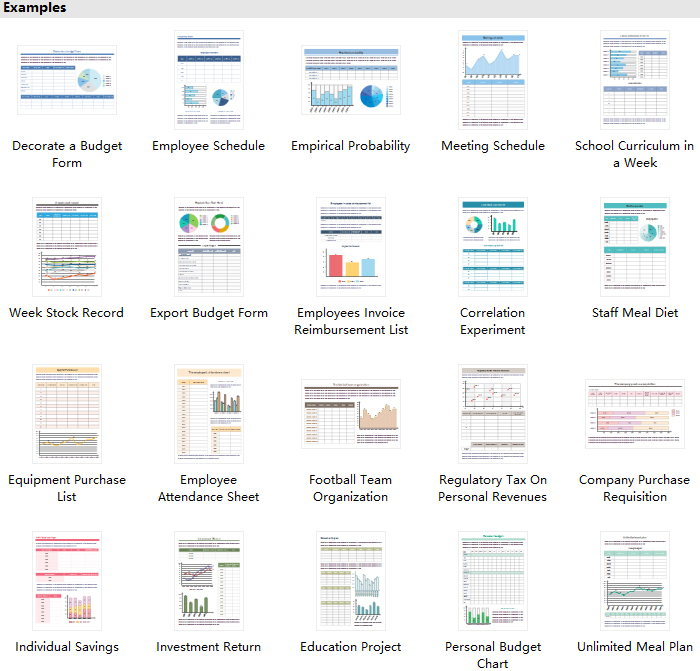 It provides abundant built-in symbols for you to drag and drop, such as various forms, bars, columns, comparison charts and indicators, pies, status tables and many other standard symbols which you can put in your evaluation forms to make them more attractive and professional. A mass of form templates are offered for free. 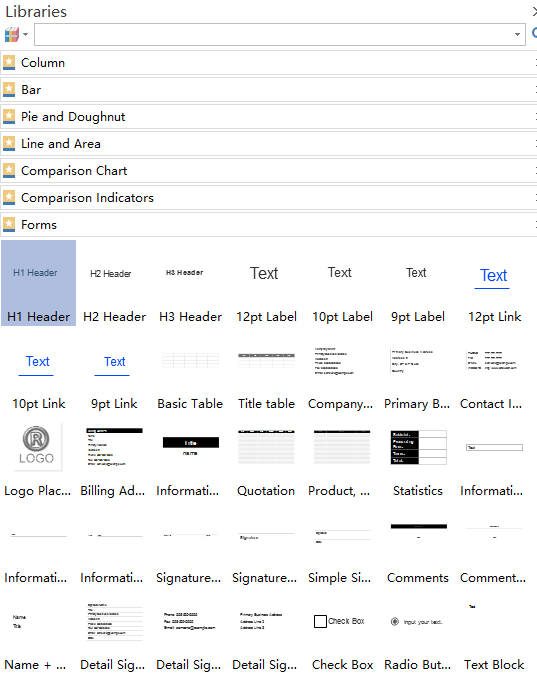 Users can download those templates they like and edit the contents by changing the information, adding extra symbols to fit their different needs. Edraw also supports adding hyperlinks, notes, or attachments to make evaluation forms more resourceful. Get started by picking a free evaluation form template! 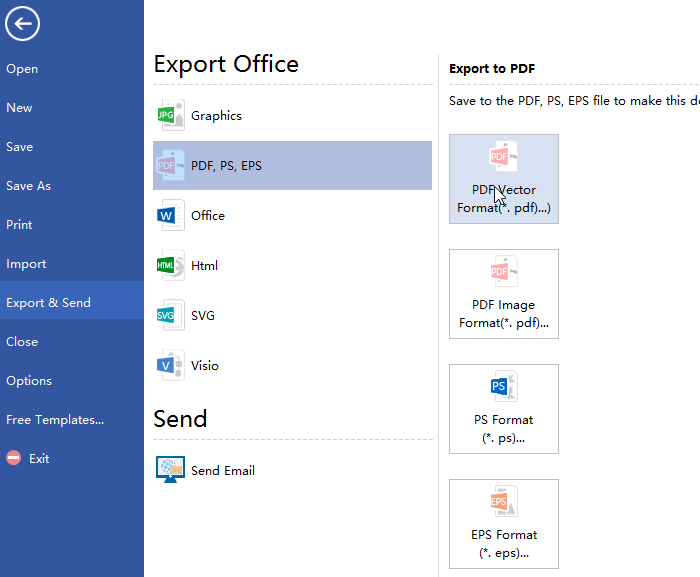 After finishing the evaluation form, the default saving format is .eddx, but it also supports exporting the form to many other formats, such as JPG, PDF, Word, Excel, PPT, PNG, Html, SVG, even Visio is supported. 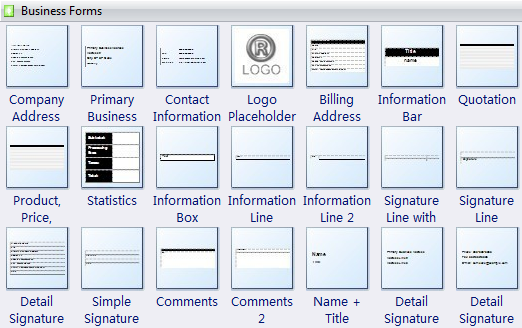 Except for evaluation forms, Edraw is also powerful for creating quote forms, invoice, fax cover, sales forms and many other business forms. Below are some examples of different forms. Click business form templates to download them if any interest!